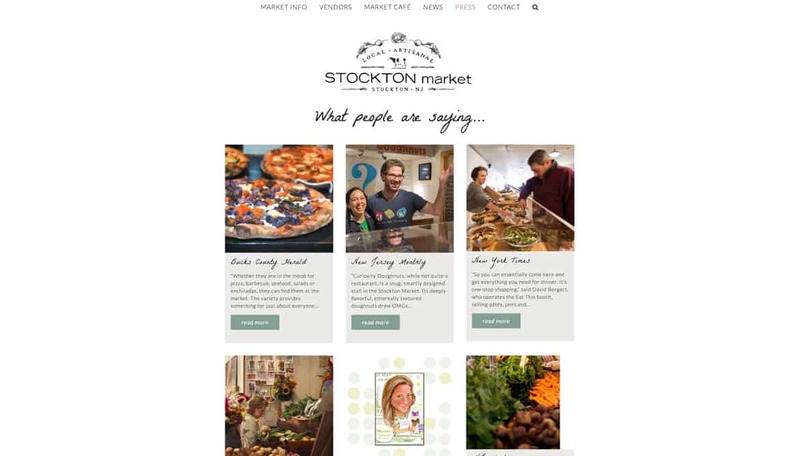 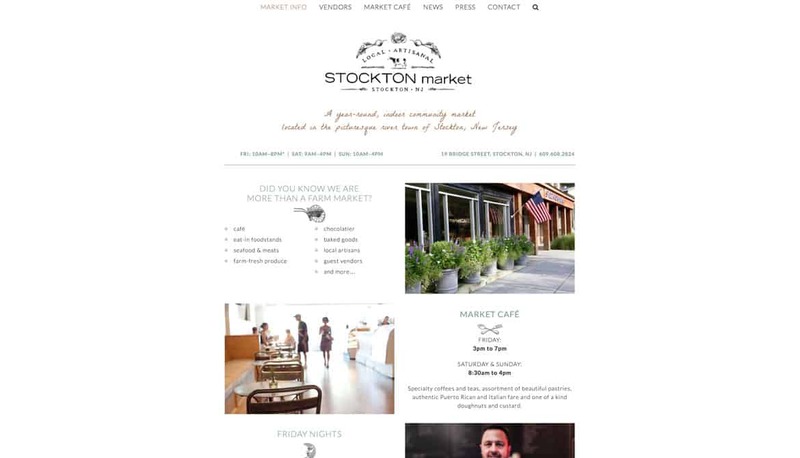 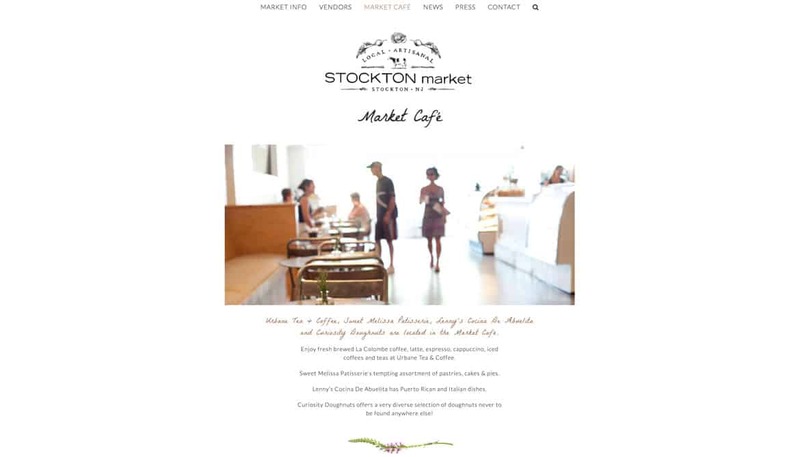 Stockton market is a year-round, indoor community market located in the picturesque river town of Stockton, New Jersey. 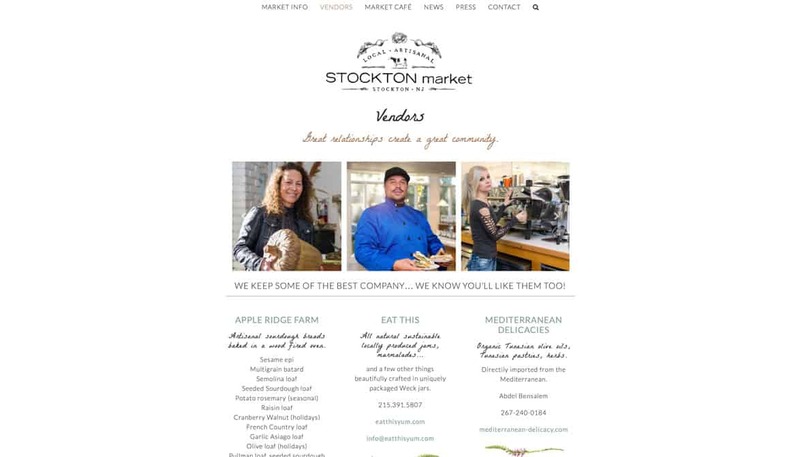 They requested a redesign of their website and the addition of a blogging feature which was crucial to keeping their customers up to date with the current market offerings. 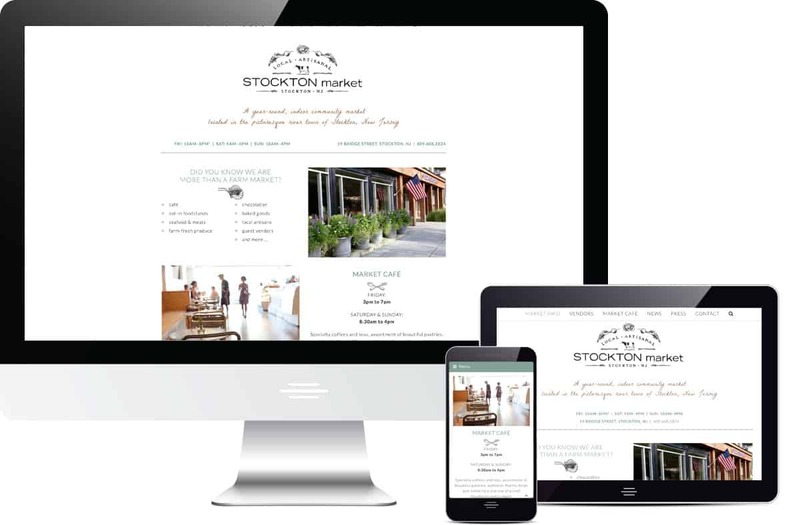 After designing a simple and clean interface and integrating social media more robustly, we ended up with a beautiful website that offers the most important information their customers want up front and is easy to navigate and explore. 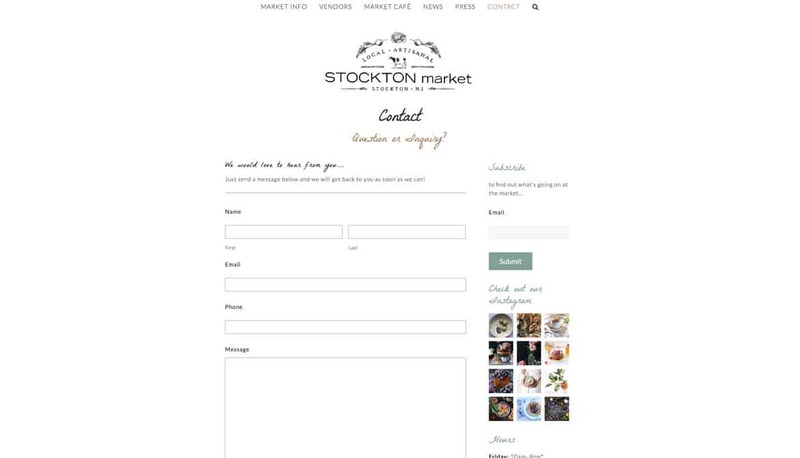 We also implemented a weekly e-mail newsletter to their customers keeping them informed and up to date on the events happening each weekend. 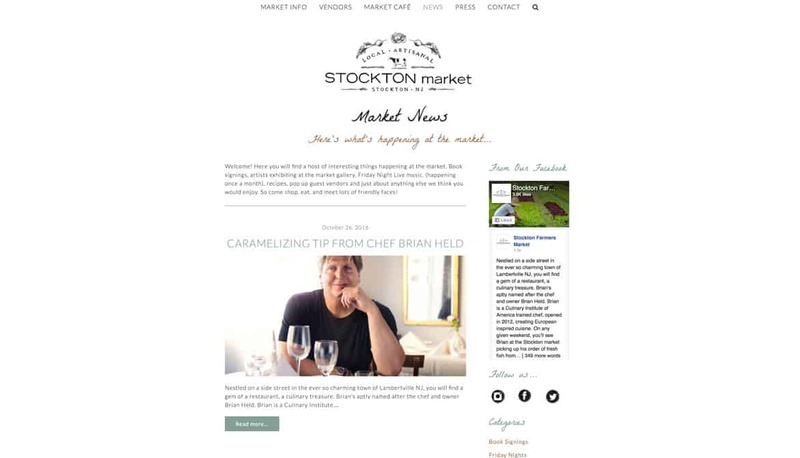 This newsletter was closely tied in to their social media.